PASQUALE LEO BUQUOR or P.L. BUQUOR, as he was more commonly known, was born in New Orleans, Louisiana, July 1816. He was the son of Honore Buquor and Eugenie Prevost of that city. His great-great grandfather, Henry Buquor was in New Orleans as early as 1721. His paternal grandmother, Felicite Perpetua Bugeaud (or Bujol) was born in St. Charles Parish, Acadia, and was a descendant of many of the early settlers of Acadia, including Charles LaTour, who at age 17 came from France with his father, Claude, in about 1609 with the Sieur de Poutrincourt. Leaving New Orleans at the tender age of 17, Mr. Buquor came to Texas in 1839 when he enlisted in the Army of the Republic of Texas commanded by Gen T.J. Rusk. General T.J. Rusk during the Cherokee Campaign. On July 16, 1839, he was involved in a hard fought battle between the Texans and the Cherokees in which Chief Bowles was killed and his band driven from the State. This battle is known as the "Battle of the Nueches." In 1840, Mr. Buquor came to San Antonio as an officer in the Commissary Department with the Army of the Republic of Texas. Muster Rolls show that Mr. Buquor enlisted on September 16, 1839 in Galveston, Texas and was assigned to Company E, 1st Regiment, Infantry commanded by Lt. Col Wm. S. Fisher from Sept 16 to Oct 31, 1839 for which he was paid $54.00. From Nov 1to Feb 29, 1840 his company was commanded by Col. Ed Burleson and he was paid $64.00. From Mar 1, 1840 to June 30, 1840, Antonio. 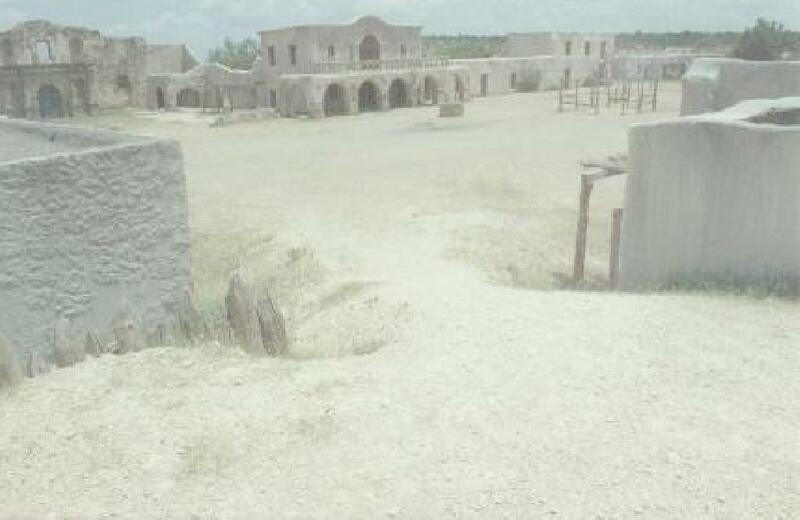 After the battle, 25 Mexicans were taken prisoner and three died. The Rangers suffered Buquor was again paid $64.00. The July 1840 Muster Roll shows 2nd Sgt. tBuquor on furlough. Mr. Buquor joined the Texas Rangers on Mar 10, 1841, and served in Capt. Jack Hays Spy Company and served from Mar 10 to May 26, 1841 and then again from Feb 25, to Apr 25, 1844. Pvt. Buquor was with Capt. Hays on April 7, 1841 during a battle north of Laredo against about 35 Mexicans who had reportedly been attacking traders between Laredo and San Antonio. They captured 25 Mexicans and suffered no losses. This battle is described in detail in "Colonel Jack Hays, Texas Ranger" by Harry McCory Henderson. For his service to Texas, Mr. Buquor was granted land on Calaveras Creek, about 8 miles east of Mission San Jose. Texas land records indicate that P.L. Buquor received a 3rd class land grant for 320 acres of land in Texas. The conditional certificate was issued on June 7, 1841 in Bexar County. From February 11, 1846 to October 1, 1846, Mr. Buquor served as City Marshal and in 1848 he sold his property which fronted Villita Street, backing to Nueva Street. In the 1850 census he was listed as a farmer and had property worth $6,000. In February 1852, he was elected to the office of County Commissioner by a count of 65 votes. On January 1, 1856, Governor E.M. Pease appointed him Notary Public of Bexar County and on January 7, 1860, he was appointed Notary Public of Bexar County by then Governor Sam Houston. In 1860, he was elected Justice of the Peace of Precinct No. 2 and his office was located in the Navarro Building. From January 1, 1861 to January 1, 1862 he was an alderman for the City of San Antonio. When the Civil War broke out, he organized a volunteer company and served as Captain of the 3rd Infantry 1st Company A, Texas. He was ordered to Camp Verde and then shortly ordered to Brownsville. His wife and family accompanied him on both assignments. While in Brownsville, two of his sergeants, William Burns and Pat Johnson, were killed by a drunk named Millican, who in turn was shot by an angry mob. Capt. Buquor was a personal friend of Col. Robert E. Lee, then Commander of the San Antonio 2nd Cavalry. Mr. Buquor was well known in the city by 1862 when he returned to San Antonio and ran for mayor against a very strong incumbent, S.A. Maverick, who was one of the biggest cattlemen in the area. Mr. Buquor won by 75 votes. He served as mayor from January 1, 1863 until January 1, 1865. One of the ordinances enacted during his term in office was outlining the proper conduct of slaves since this was during the Civil War. A notice in the Austin State Gazette, October 7, 1863, shows that Mayor Buquor attended a War Meeting at San Pedro Springs, near San Antonio. Chairman Samuel A. Maverick as presiding officer appointed Buquor and Capt. Jno H. Duncan as Vice Presidents. A committee was appointed for the purpose of providing for the wants and needs of the soldiers and their families residing in the county or neighborhood. In his obituary, which appeared in the San Antonio Light newspaper dated March 16, 1901, it states that: "Colonel Buquor was a veteran of the Mexican War and Mayor of San Antonio. During his administration Mayor Buquor introduced a method for the extermination of vermin by which he offered five cents for every rat-tail that was brought to him. This had the effect of encouraging the slaughter of rats and there were many who did nothing else, but kill rats and take the tails to the Mayor for which they would received five cents apiece." In his book "Frontier and Pioneer Recollections" by Vinton Lee James, he described Mayor Buquor while at the funeral of a Confederate soldier in the front hall of the old Bat Cave building near Military Plaza, as "a large fleshy, good-looking gentleman, who was dressed in a long-tailed coat and a suit of somber black, as master of ceremonies. He made an eloquent speech in a deep, pleasing bass voice in which he eulogized the dead as having been a brave soldier who gave his life that his country might live." In January 1866, he had an office on the north side of Military Plaza and was listed as a Notary Public, conveyor and translator. In 1867, he was appointed City Assessor. He was a member of the Texas Veteran Association. In 1872, an U.S. District Judge appointed him as Supervisor of Elections of Starr County and he was also a Notary Public and Justice of the Peace for that county. As reported by the San Antonio Express on March 4, 1881, "Mayor P.L. Buquor was employed as an interpreter in Federal Court as he was probably the finest Spanish language scholar in all Texas." On May 5, 1884, he was appointed by Governor John Ireland, as Honorary Commissioner to the Worlds Industrial Centennial and Cotton Exposition. After a long illness, Mayor Buquor died on March 15, 1901 in Floresville (Wilson County) Texas. Services were conducted at Sacred Heart Catholic Church and he was buried in the Canary Islands Cemetery. On April 16, 1841, at the age of 25, P.L. Buquor married Maria de Jesus (Teresa) Delgado who was in born in San Antonio, Texas on June 10, 1826. She was the daughter of Jose Maria Delgado and Juana Curbelo, descendants of the Canary Islanders who settled in San Antonio in 1731. Her Canary Island ancestors include Juan Leal-Goraz, Lucas Delgado, Mariana Meleano, Juan Curbelo, Garcia Perdomo y Umpieres, Vicente Travieso, Mariana Curbelo, Vicente Amador, Francisco Arocha, Francisco Delgado and Catarina de los Santos. The wedding was performed at the San Fernando Cathedral by Father Calvo. He took his bride to his hometown of New Orleans for their honeymoon. After returning from their honeymoon, Mr. Buquor resigned from the Army and then spent a term carrying the mail. He and his wife were married for 60 years. They had six children: Adolph (b. 1849 married Francesa de la Pena), John (b. 1846 m. Cecilia Bean), Maria F. (b. 1850), Felicia (b. 1851 m. William Bledsoe), Oscar and Ophelia. Mrs. Buquor was interviewed by a newspaper reporter for the San Antonio Express on July 19, 1907, wherein she relates her memories of the Battle of the Alamo. Although she was only 8 years old at the time, she remembered the events vividly. This article was reprinted in a book by Timothy Matovina entitled "The Alamo Remembered: Accounts and Perspectives." In the article Mrs. Buquor states that she was not quite 9 years of age when she saw the Mexican Army coming toward San Antonio and ran into the house to question her mother about them. William Travis and Davy Crockett were friends of the family and visiting at the time. They bid a hasty farewell and rushed to the Alamo and to their ultimate deaths. Thus, it was Mrs. Buquor who gave them their first warning of the approach of the Mexican Army. She also tells of having to give up their family home to the Mexican soldiers and take refuge in the cellar of a house on Arciniega Street. Here they were forced to dig and seek safety from the flying bullets during the attack. She recalls seeing smoke arising from the burning bodies of the Texans when their remains were destroyed on the altar of Texas Liberty. She also remembers the killing of a party of Comanche Indians who came to San Antonio on a trading mission and became involved in a quarrel with some officers in the old Military Plaza. The quarrel led to a fight to the death of all of the Indians. She was unable to recall the date, but states that it occurred well after the Battle of the Alamo." This battle is known at the "Council House Fight" and it occurred on March 19, 1840 in San Antonio, Texas. Mrs. Buquor retired with her husband to Floresville, Texas and she died on February 24, 1913 and is buried at the San Fernando Cemetery No. 1 in San Antonio, Texas.